FFE Magazine > Life and Lifestyle > Tech > Didn’t get enough music while you were awake? Try this pillow. Didn’t get enough music while you were awake? Try this pillow. 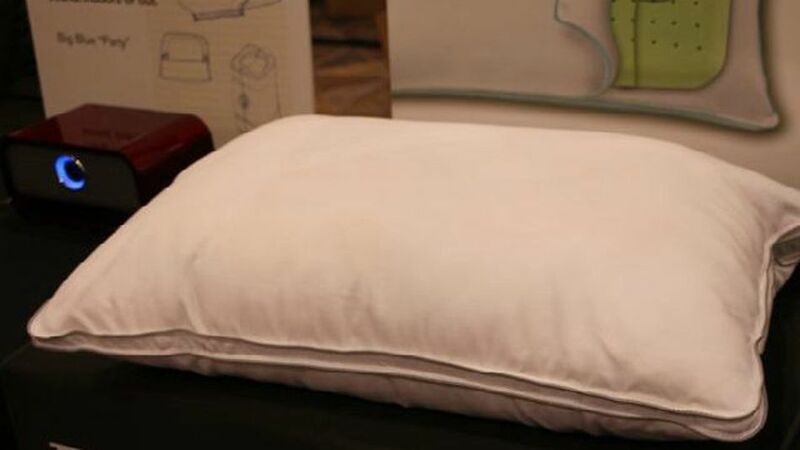 LAS VEGAS — A new pillow from Brookstone is looking to revolutionize how you watch TV in bed. At first glance it may look like an ordinary pillow, but inside this memory foam pillow is a set of speakers you can use to listen to music while you’re on your way to dreamland. The pillow connects using a wireless transmitter. 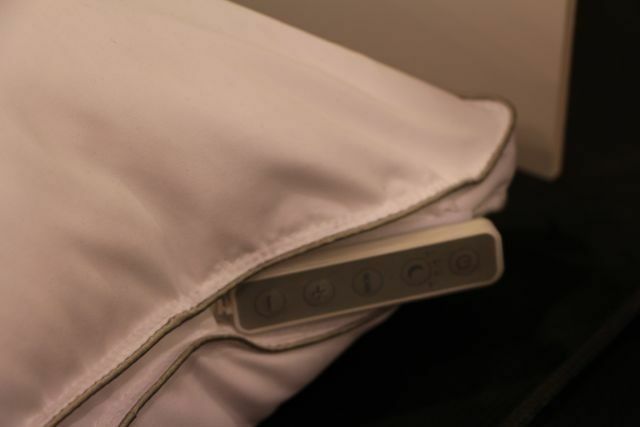 Controls on the side of the pillow can adjust the volume, and you can set a sleep timer to have the tunes turn off when you think you’ll be asleep. The battery pack can be removed from the inside of the pillow for charging, and the outside cover can be removed when it needs a wash.